The eagerly awaited Canon EF 200-400mm f/4L IS 1.4X lens may be finally ready for an official announcement soon. Rumor has it the 'production' model of the lens showed up on public display and those who tried it were dazzled by its fast AF speed and the responsive extender mechanism. You may recall in my last EF 200-400mm post, Canon was working through some of the 'complaints' brought to their attention after extensive test trials in Africa and during the 2012 London Olympics. The final version of the lens may weigh about 8.0 pounds, with a length of around 15 inches. 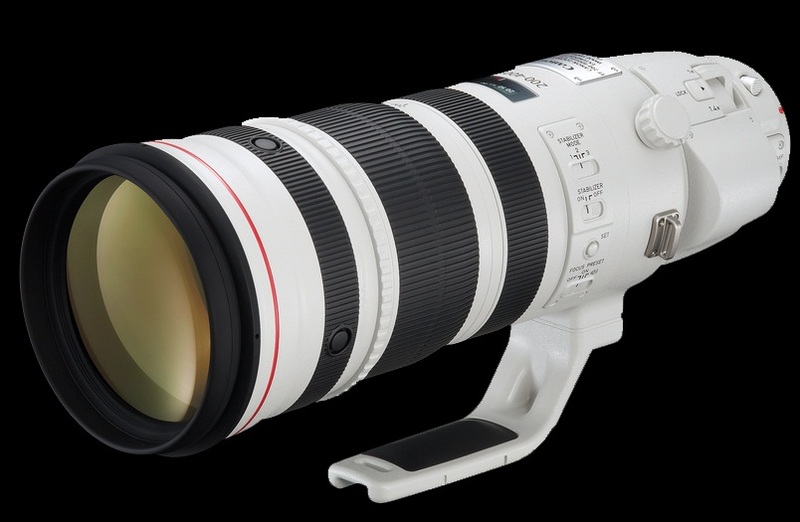 The list price should be around $11,000, which is quite steep but for a revolutionary zoom lens of this quality, the only problem Canon will have is to fill the orders fast enough. If the above specs prove to be more or less accurate, then this lens will be difficult for most to handhold for any extended period of time and a solid monopod may be the best compromise to use this game changing lens out in the field. I can't wait for the news. Should be coming in early 2013.